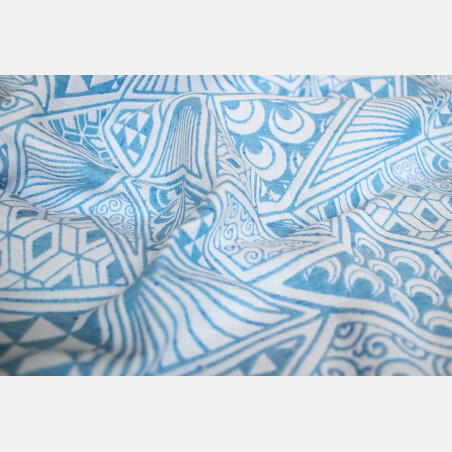 A combination of black and a stunning blue, with beautiful blue sparkles. 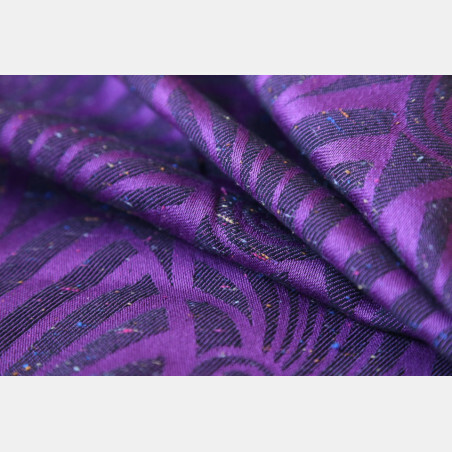 The sparkles are subtle and do not feel scratchy on the skin. 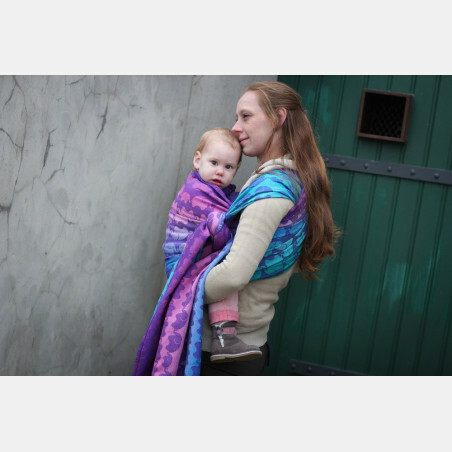 The used contra weave gives new meaning to all cotton wraps. 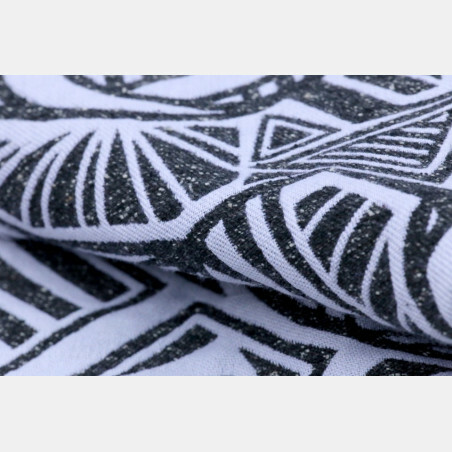 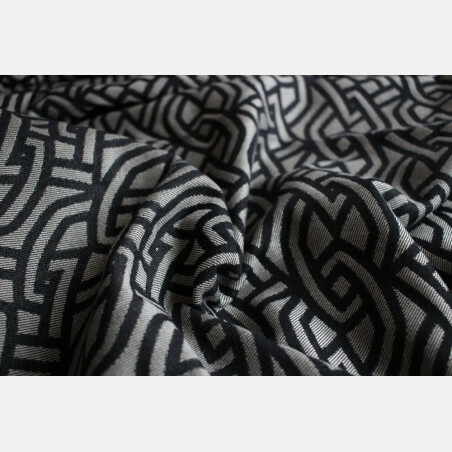 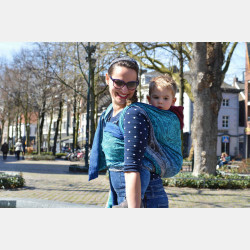 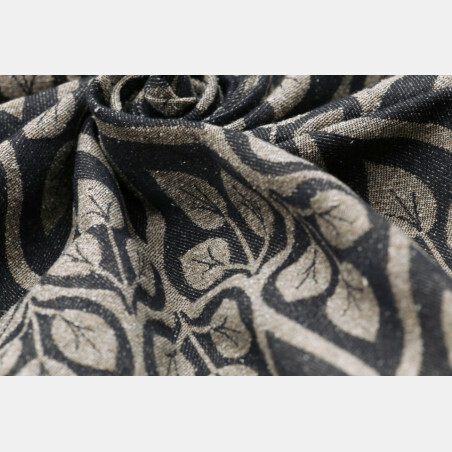 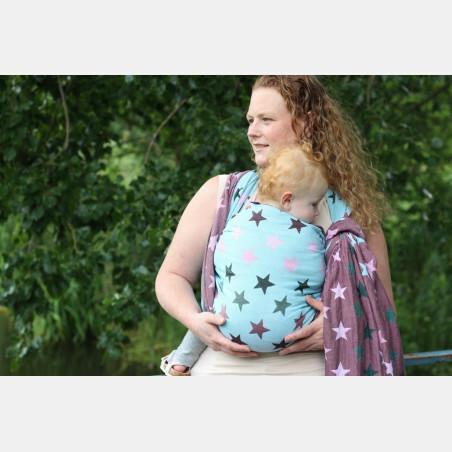 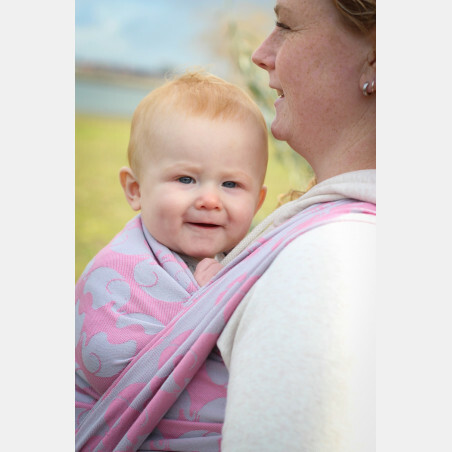 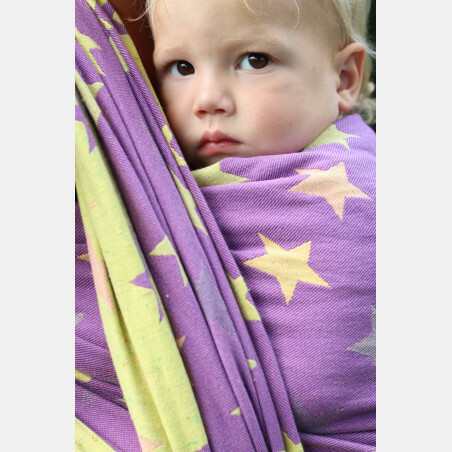 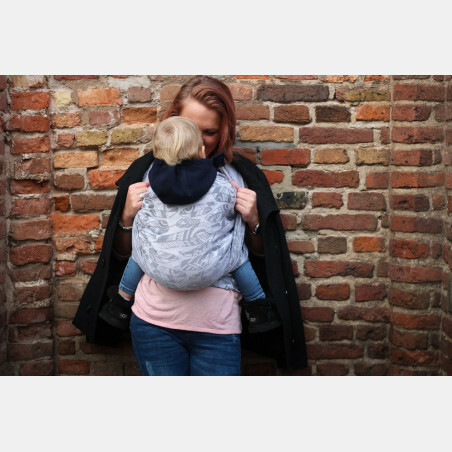 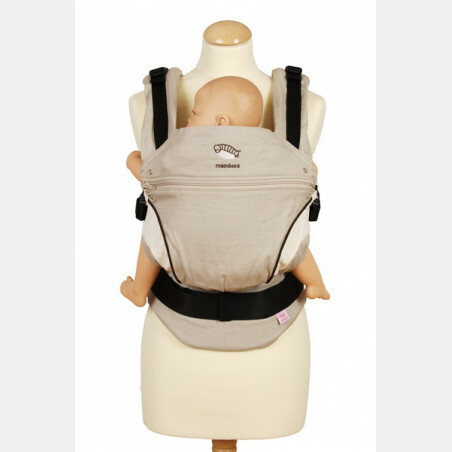 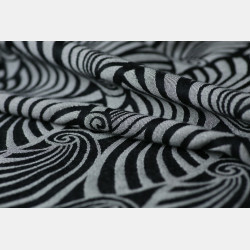 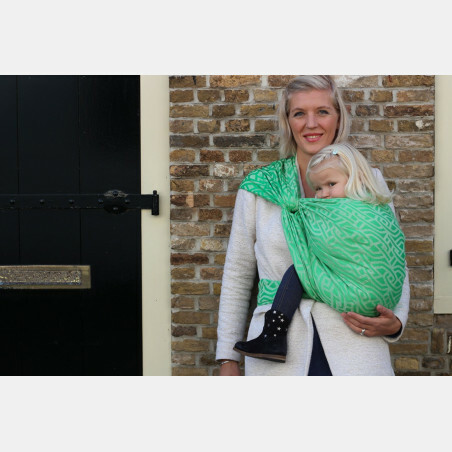 This wrap is comfortable, strong, suitable for all ages and experience levels. 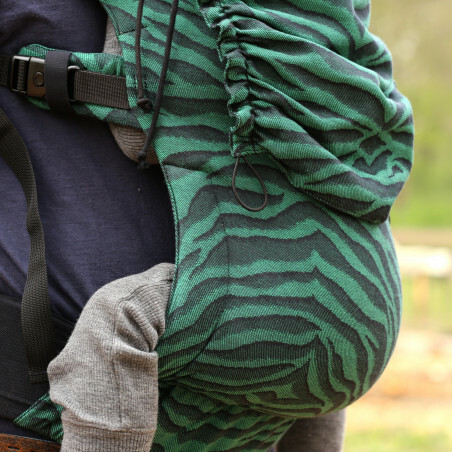 Minimum effort needed to break-in.